Posted on July 6, 2009, 10:42 am, by Philip Jacob, under Misc. 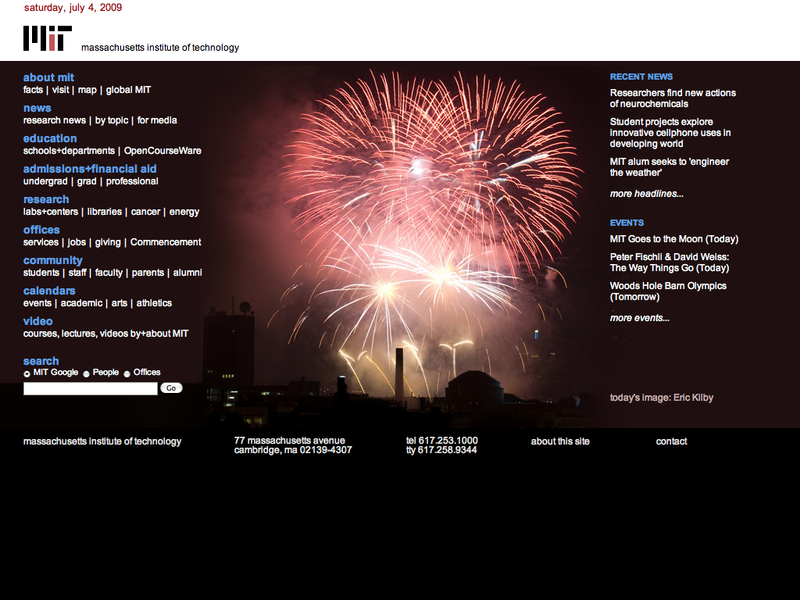 Last year, Kilby took some great shots of the Boston fireworks and MIT selected one of them for use on their homepage this weekend. The photo was taken from StyleFeeder’s office in Central Square in Cambridge and shows the famous MIT dome underneath some fancy pyrotechnics. You can see more from this year on his Flickr photostream.